There is one common thing that revolves around all the scenarios…. money. We have now selected a particular large leaved “weed” (a so called ‘not useful” plant) that grows abundantly about our space as the “currency.” (Otherwise, particularly in the summer months, the kids were stripping all the foliage off all the trees, be it a fruit tree, vegetable or even the rose bushes.) And it is used for many different purposes. Each day at beginning of play, a few “Weeds” are uprooted and stored at the “Bank” the banker hands out to each of the kids some currency and play begins. 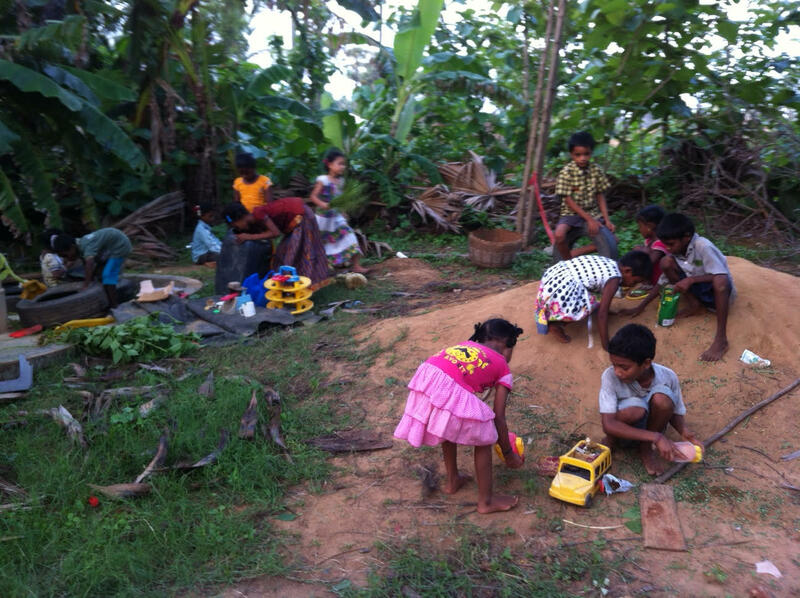 As there as a limited number of toys and an unlimited number of kids, the currency is used to share the toys. If there is a dispute between the kids over a particular item an adjudicator will intervene and decide on an amount to be paid to resolve the situation. 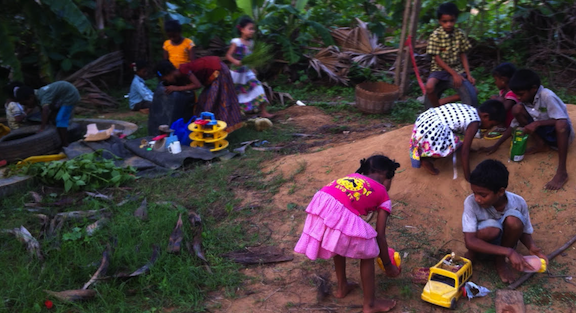 Children making up games with toys from the toy library in Appalagraharam. It’s a privilege to listen to their play and get a real insight into what they have “learnt” or taken interest in. These are village kids from very poor families who have probably only had one or two birthday parties themselves in real life and they would have only consisted of a cake and maybe a few balloons. Ask Amma thanks Peter, Bappa to Swandana and Kinu, for sharing this story with our community. Previous Why doesn’t Gandhi have clothes?